Acquacotta is an authentic thick Italian stew made mostly of vegetables and eggs. It’s the perfect comfort food. We’ve made it several times in our own kitchen and plan to make it all winter long. Author, Emiko Davis shared one of her Acquacotta recipes with us from her book Acquacotta: Recipes and Stories from Tuscany’s Secret Silver Coast. Emiko learned this version of Acquacotta from Ilena Donati, an elderly woman from Capablio. Emiko slow cooks her tomato sauce and onions, poaches eggs directly in the sauce, and finally serves over stale bread. 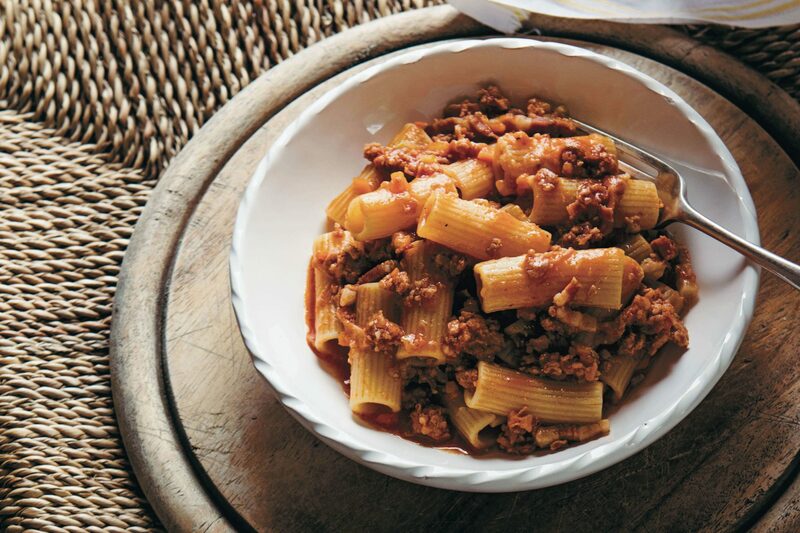 Acquacotta recipes differ, but this was one of our favorites from her book. Score a cross on the bottoms of the ripe tomatoes with a sharp knife. Place them in a pot of boiling water for about 30 seconds, then remove and plunge them into a bowl of ice-cold water until cool enough to handle. Their skins should be very easy to peel now. Chop them into quarters and remove the watery seeds. Chop the rest of the tomatoes into cubes and set aside. Heat a casserole pot with the olive oil over low heat. Add the onions and celery along with a good pinch of salt and let it cook, stirring occasionally, for about 15 minutes or until the vegetables are soft. Add a splash of water if you see the onions are sticking. Turn the heat up to medium and add the white wine, simmering for about 3-4 minutes to reduce. Pour over the tomatoes. If using tinned whole, peeled tomatoes, use a wooden spoon to break them up once in the pan. Add another pinch of salt and, if using, sprinkle over the chilli. Add half the stock (or water) and bring to a simmer, then turn the heat down to low and let it cook slowly, uncovered, for about 45 minutes. During this time, check on it now and then, and stir occasionally. The liquid should reduce to a nice, rather thick consistency, but there should still be enough liquid to be able to poach the eggs in it. Top up with the rest of the stock (or water) as necessary. Taste for seasoning and, if necessary, add salt or freshly ground black pepper. Then crack in the eggs, one by one, not too close together. If you prefer, you can crack the eggs first into a small bowl and then carefully tip the cracked egg into the soup. Poach them until the whites are cooked and the yolks still soft and runny (this can take anywhere from 3–6 minutes, depending on the pan used and the temperature of the eggs). Remove from the heat. Place a slice of stale bread at the bottom of each bowl. With a ladle, carefully scoop out the poached eggs one by one and place each on top of a slice of bread. Scoop out more soup and pour over the top to soak the bread. Sprinkle each dish with grated cheese (if desired) and let it sit for a minute or two to allow the bread to absorb some of the liquid adequately before serving. This is perfect for using up overly ripe fresh tomatoes in summer, but otherwise you can use tinned whole, peeled tomatoes as an alternative (passata or tomato purée is too smooth). Stale bread soaks up the liquid nicely and doesn’t get soggy. 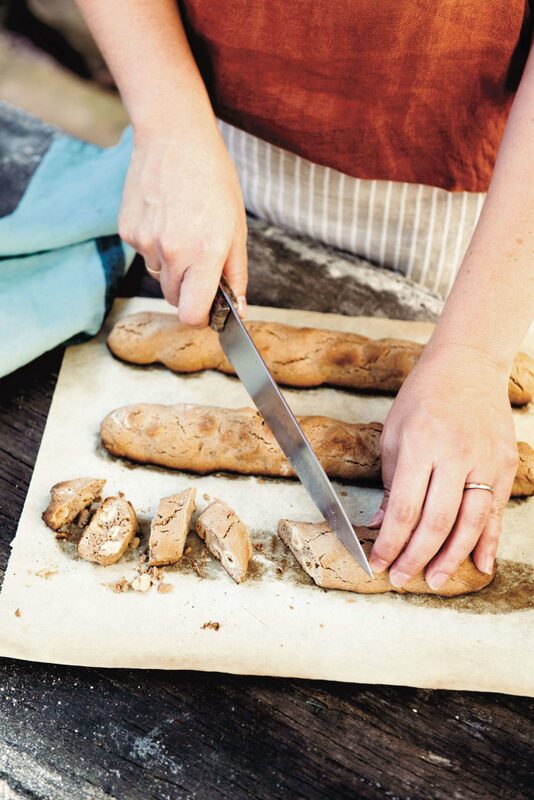 If you don’t have stale bread on hand, you can dry it out in a low oven until crisp (don’t toast – this changes the flavour of the bread too much). 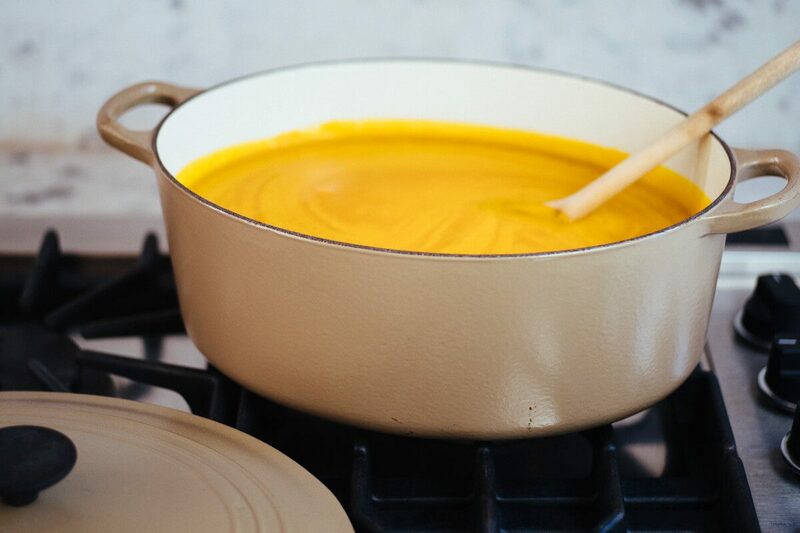 You can prepare the soup in advance, right up to the point just before you put the eggs in; this can be kept in the refrigerator overnight or you can freeze for later use. Just reheat with a splash of water and, once simmering, add the eggs. To make the vegetable stock, chop the vegetables into rough chunks and place in a stockpot with the herbs and 3 litres (101 fl oz/12 cups) of cold water. Bring to the boil, then turn down to a simmer and cook, uncovered, for 1 hour. Strain and set aside until needed.